It’s not a surprise that Master Gardeners have gardens! Of course, most of us tend our own back-yard gardens, but we also are proud of several other gardens in Yakima County where we have put in efforts to benefit our community. 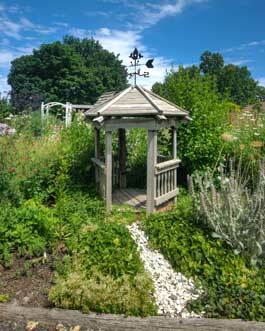 Created in 2005, our featured Demonstration Garden is an ongoing project funded entirely through charitable donations. The garden is always open for you to visit, during park hours, at the Ahtanum Youth Park, 1000 Ahtanum Road in Union Gap. It is located near the Red Youth Barn in the southeast corner of the park. It is tended entirely by Master Gardener Volunteers. See more photos at the Demo Garden page. An effort for Yakima County Master Gardeners is the coordination and development of Community Gardens in the county. The first is in the community of Buena. Working with community leaders and families in Buena, we have built garden plots where individuals and families can “take ownership” in the raising of their own vegetables, fruit and flowers. Master Gardeners are present regularly to mentor interested families as they build, plant, maintain and harvest their gardens. Recently we have begun working with the Yakama Nation to help them organize a community garden, and to teach gardening practices there. Master Gardeners have set aside a private area where we are growing heirloom vegetables. We use this garden to experiment with rare and unusual varieties, and different growing practices. The produce raised in this garden is donated to area charities. In this year nearly 1,900 pounds of vegetables has been harvested for them. A primary goal of this garden effort is the saving of seeds. We have developed a seed library with seeds from this garden. You can become a member of this seed library by attending training in the early spring each year. Watch for the announcement of date and time on our Events Page. See more photos and information on the Heirloom Garden page. Many folks from the Yakima Valley are familiar with the Master Gardener Annual Plant Sale. 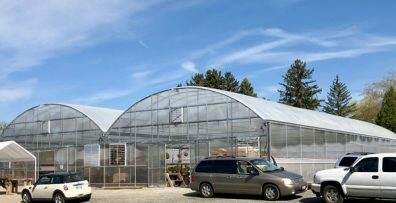 The first weekend in May of each year brings this huge sale of tens of thousands of plants… annuals, perennials, vegetables, herbs, hanging baskets, garden art and more. It all happens in our greenhouse, where we raise all these plants. Starting in October, we take cuttings, start seeds, plant plugs, nurture, pot and re-pot, so that by May we have this glorious abundance to share with you. This sale is our primary funding tool to support the work we do throughout the year.